A couple weeks ago I was exploring the different CRM tools that exist for small businesses. Now, I know the major players in the game like Sales Force and Oracle. But what about small businesses and independent consultants who are looking for an easy, simple, and efficient way to manage their leads, calendars, and track projects? I didn’t really know what kind of affordable solutions were out there for small businesses and I wanted to find out. I really lucked out because right around the time I was doing my search for a CRM tool in my own consulting business, an opportunity came up through Sverve (an influencer network I belong to) to review Insight.ly – a CRM tool for small businesses. I wrote to Insightly and told them about my need for a CRM tool and they picked me to write a review for them. Sweet! I was excited to a) Find a CRM tool I could use in my business and b) Have access to the company and ask them questions not only for my own benefit but also for the purposes of the review. One of the first things that I liked about Insightly was its integration with Google Apps. I recently switched email servers for my business over to Google Apps so all I had to do was add Insightly as a Google App and then it’s right there in my Google Apps. That was easy. And I like easy. This allows you to easily add your emails into their CRM tool. If you are using a program like Outlook or Apple Mail, Insightly gives you your own custom unique email address where you can forward emails. It automatically stores the emails for viewing and it saves your contacts. Pretty neat. The service is free for up to 3 users, and so far I have been happy with the free version of the service for my needs. The premium features like Contact Sync, MailChimp Integration, and Custom branding are beyond my needs right now but I could see how this would be a beneficial service for a small business. Insightly also has a feature to integrate with Evernote, which I also love because that is the other program I use to help me organize my website chaos. Overall I am really happy I was able to connect with Insightly and I plan on using it in my business and helping me to better organize my leads, projects, contacts, and everything else that goes into running my own business that I never had to think about until now. Fore more information on Insight.Ly, you can visit them on the web by clicking here. What about you? What tools do you use in your business to help you track projects and stay organized? Post in the comments and let me know! My most recent post on Resources I use in my digital marketing business has gotten a lot of attention which is exciting. It’s been so nice to directly point people to that page instead of having to say the same thing over and over again in conversation. I’m going to try and do a lot more of these types in the future as long as I know people are finding them to be valuable. Another resource page I’ve decided to write is specifically for those in the blogging community. There are a lot of bloggers out there who get sent free products to review, get sponsored posts, or are contacted by brands to do giveaways and sweepstakes. It’s been so intriguing to me (both as a marketer and a blogger) that I decided to put together a list of all the different blogger / influencer networks that are out there. When I first started blogging, I had no idea these types of groups existed. In fact, I wanted to create one myself. There are so many out there, and my goal is to make this a comprehensive list of all the opportunities for bloggers that are out there. The way these networks work is you sign up and add your blog, social networks, and a bit about yourself. You may even tag the different areas of influence you think you fall into (health, fitness, paleo, marketing, technology, moms, etc). From there, most of these sites have a list of campaigns. What you do is apply for the campaign and either the brand or the network vets them to see if you qualify and would be a good fit for the brand’s campaign. Sometimes these are paid opportunities, and sometimes they are just for free product. Some networks like Social Spark even allow you, the blogger, to negotiate your price. Other networks like Sverve allow you to set your own price for a post. I will get into more of this in a future post, but for now take a look at these different networks. If you have more questions, ask them in the comments so I can make sure to address them in the future. If you see something is missing here, please contact me and let me know. Sverve: They are a newer player in the game and focus on connecting female social media influencers with brands and businesses for partnerships. What you do is you sign up add your areas of influence. You can "Endorse" other bloggers in their respective areas of influence to help improve their influencer score. A lot of times brands will have a certain threshold or influencer number a person must meet in order to be considered for a campaign. Sverve is part of the incubator 500 Startups and based in the Silicon Valley. If you are interested in learning more about Sverve, Click here to Sign up. BrandBacker: They are a Fashion & Beauty product promotion network online. In their words, they "connect brands who want to get exposure on blogs and social networks to over 5,000 bloggers looking for opportunities." When you fill out your profile on BrandBacker, you give your blog details as well as links to your social media presence and tag your specialties. You can choose the types of promotions you are interested in: product reviews, contests, free samples / giveaways, and what the minimum price you'd like to be paid per post would be. If you are interested in learning more or joining BrandBacker, Click Here to Sign Up. Massive Sway / SITS Girls: This is part of The SITS girls (The Secret's In The Sauce). Their goal is to create a place for bloggers to connect with one another and become a resource for blogging. They post a lot of great articles on resources and tools to help you blog. Massive Sway is a joint venture between The SITS Girls and The Sway Group and is a portal for bloggers to learn more about sponsored opportunities. One unique thing that they do is they have you Authorize your Google Analytics account to be viewable. So not lying on your numbers, folks. And if you don't have Google Analytics on your blog yet, get on that. If you are interested in joining Massive Sway, Click Here to Sign Up. Linquia: Another Influencer network that refers to themselves as the matchmaker for communities and brands. Members are invited to participate in paid campaigns and notified via email. Linquia stresses that stories are shared in an authentic, meaningful way - which is good. Their goal is to empower individuals to grow their communities. 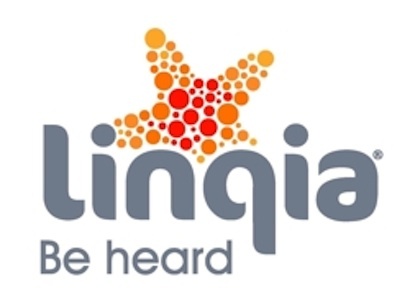 If you are interested in joining Linqia, Click Here to Sign Up. 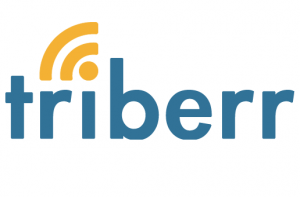 Triberr: An influencer marketing platform that connects brands with bloggers. They are a newer site and I haven't done a campaign with them yet, but they did have a cool one recently for TOMS shoes that I am eagerly awaiting to hear back from them on. If you are interested in joining Triberr, Click Here to Sign Up. The Clever Girls Collective: They have a network of over 8,000 female influencers and connect them with content marketing campaigns. They also have their own unique campaign platform and set of tools. They believe in the power of direct brand to consumer communication through social media through engagement and partnerships. Right now some of the current campaigns they have available are with Nordstrom Rack and Audible.com. If you are interested in joining Clever Girls Collective, Click here to Sign Up. A lot of people ask me about the different marketing tools and resources I use in my business so I decided to post the things I’ve found useful. StudioPress Themes for WordPress: All of my websites except for Fit & Awesome are built using the Genesis Framework. I really like Genesis because it’s easy to use and the themes are very classic and clean. This site is currently built on the “Freelance” theme. Media Temple: My sites are all hosted on a Grid Server through Media Temple. I can host up to 100 domains on my monthly server. The Grid Service is $20 a month but I find it to be well worth it. I love Media Temple. They’ve been very good to me and are always able to quickly respond to any issues I am having. BlueHost: If you are just starting a website or blog and don’t want to commit to $20 a month just yet, I recommend checking out BlueHost. They have hosting plans starting at $3.95 per month. Please note that Media Temple is my first choice, and Blue Host is my second if you are looking for a more affordable option (which many of you who are starting out are). I do not currently have any of my sites on BlueHost, but a lot of my clients host through them so I am familiar with their platform. MailChimp: All of my email lists are currently hosted through MailChimp. I am happy with their service and it suites my needs for right now. In the future I would like to move everything over to Aweber but have not done so yet. Dropbox - I use Dropbox for sharing files with all clients and freelancers I work with. I also use it to automatically sync my iphone photos to my Dropbox folder when I’m connected to Wireless. You never know when you might drop your phone in the toilet! Yes, I have had that happen to me before and it is NOT fun. Tweet Adder- Twitter is one of my favorite social media platforms. I am one of the first million members and have been using it since 2007. My Twitter account has grown significantly over time to around 9,000 followers. Additionally, I now run additional Twitter accounts for both my blogs and my clients. Tweet Adder is one of the most effective Twitter marketing tools I’ve used for my clients to build their follower base. I am able to do searches and specifically target followers who would be interested in what my account is about. For example, if I am running a gluten-free twitter I can do a search and see all people who have tweeted about gluten-free in the past few days and do a targeted follow. There’s really so much I could say about this tool that I will just stop here and say that I am going to post more on this topic in a blog later. Lead Pages - This is a new one I have recently started using to set up landing pages and opt-in forms quickly. It has a smooth integration with WordPress and is easy to set up. If you would like me to help set up landing pages for your business, contact me and I can help you out. AdRoll- I use Adroll for all of my retargeting campaigns. You know when you visit a website and then all of a sudden you see ads for that website all over your browser? That’s retargeting in action. Adroll is also a Facebook preferred developer which is why I prefer working with them. If you need help setting up your AdRoll account, contact me and I’d be happy to help you out. Books: I read. A lot. Here are some of my favorite business books. Disclosure: Some of the links above are affiliate links, which means I earn commission if you decide to make a purchase. I am recommending these companies and products because I use them in my business. If you are not comfortable with this, you can go directly to the website and make your purchase. I won’t be offended, I promise. Many of you are probably aware that Sheryl Sandberg, the COO of Facebook, recently released a book called Lean In about women, work, and the will to lead. I highly recommend you read it. 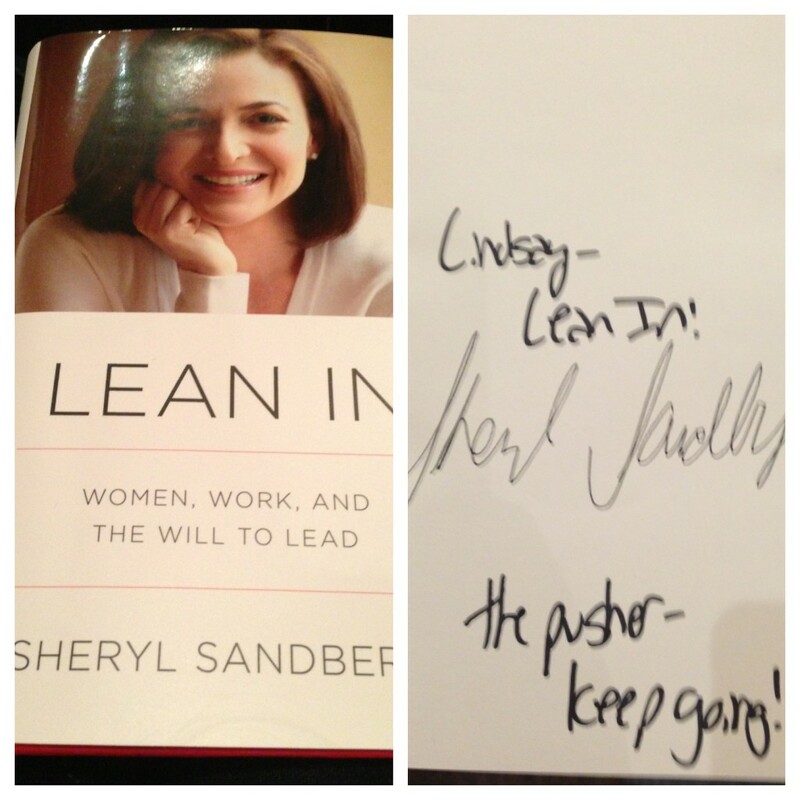 Back in March I went and saw Sheryl Sandberg speak at The Writer’s Guild in West Hollywood in support of this new book. It was a great experience. I love that Sheryl Sandberg is bringing the subject of women in the workplace to light. Many women feel like they can’t have it all and balance a successful career and a family at the same time. They think that one area of their life will suffer but that is not true. I love that Sheryl Sandberg is starting this conversation and empowering women to say yes they can have it all. Someone has to. And she’s a great person to get this message across. It’s important. On the flip side, I think this book may not be relatable to all women because they are not in the same high powered executive role like Sandberg. Yes, it’s easy for her to pump while she’s on conference calls because she has her own office. And she can create maternity parking spaces because she’s at an executive level and can and should be the one to raise this point. But what about the rest of women? What do they do? Do they speak up? Not everyone is as willing to listen in other workplace environments. Women need to come together and support each other in the workplace. The stereotypes of women being bossy (and dare I say it – b****y) in the workplace often tend to be true. Why is that? We should all be coming together not working against each other. I am happy Sandberg brings up this point. I am all about girl power so bring it on! She talks about shared responsibilities and chores with your spouse around the house. I love this. My husband and I share most of our household responsibilities and I love that she makes a point to bring this up. What about you? Have you read Sheryl Sandberg’s book? What are your thoughts on the Lean In Movement?